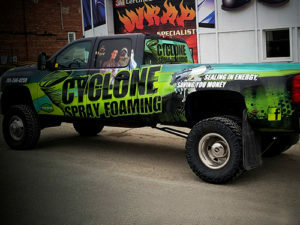 Graphics can turn your vehicle into a moving billboard! The right graphics say a lot about your business – and vehicle graphics can be made to suit any budget! We design, print, and install decals and wraps for vehicles of all shapes and sizes. Need a wrap for your boat or ski-doo? We do that too!